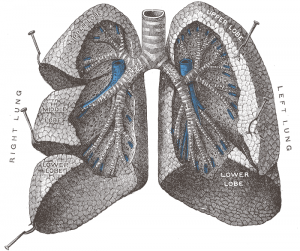 British Thoracic Society Guideline for Bronchiectasis in Adults - 2019 Hill AT, Sullivan AL, Chalmers JD, De Soyza A, Elborn JS, Floto RA, Grillo L, Gruffydd-Jones K, Harvey A, Haworth CS, Hiscocks E. Thorax. 2019 Jan 1;74(Suppl 1):1-69. British Thoracic Society Guideline for non-CF Bronchiectasis - 2010. Pasteur MC, Bilton D, Hill AT. Thorax, 2010; 65: Suppl 1: i1-i58. An Official American Thoracic Society Clinical Practice Guideline: Exercise-Induced Bronchoconstriction:2013. Parsons JP, Hallstrand TS, Mastronarde JG, Kaminsky DA, Rundell KW, Hull JH, Storms WW, Weiler JM, Cheek FM, Wilson KC, Anderson SD. Am J Respir Crit Care Med, 2013; 187(9): 1016-1027. Management of COPD exacerbations: a European Respiratory Society/American Thoracic Society guideline: 2017 - Wedzicha JA, Miravitlles M, Hurst JR, Calverley PM, Albert RK, Anzueto A, Criner GJ, Papi A, Rabe KF, Rigau D, Sliwinski P. Management of COPD exacerbations: A European respiratory society/American thoracic society guideline. European Respiratory Journal. 2017 Mar 1;49(3):1600791. Chronic Obstructive Pulmonary Disease: Management of Chronic Obstructive Pulmonary Disease in Adults in Primary and Secondary Care: 2010 - National Institute for Health and Clinical Excellence. Quick Reference Guide. London. NICE; 2010. Physiotherapy National Standards of Care for people with Cystic Fibrosis, Association of Chartered Physiotherapists in Cystic Fibrosis, UK, 2017. Cardiac Rehabilitation: A National Clinical Guideline. Scottish Intercollegiate Guidelines Network (2017). Exercise-Based Cardiac Rehabilitation in Patients with Chronic Heart Failure: a Dutch Practice Guideline. Achttien RJ, Staal JB, van der Voort S, Kemps HM, Koers H, Jongert MWA, Hendriks EJM. Neth Heart J, 2015; 23(1): 6-17. BTS Guideline on Pulmonary Rehabilitation in Adults - 2013. Bolton CE, Bevan-Smith EF, Blakey JD, Crowe P, Elkin SL, Garrod R, Greening NJ, Heslop K, Hull JH, Man WD, Morgan MD. British Thoracic Society guideline on pulmonary rehabilitation in adults: accredited by NICE. Thorax. 2013 Sep 1;68(Suppl 2):ii1-30. AARC Clinical Practice Guideline: Effectiveness of Nonpharmacologic Airway Clearance Therapies in Hospitalized Patients - 2013. Strickland SL, Rubin BK, Drescher GS, Haas CF, O'Malley CA, Volsko TA, Branson RD, Hess DR. Respir Care, 2013; 58(12): 2187-2193. Guidelines for the Physiotherapy Management of the Adult, Medical, Spontaneously Breathing Patient - 2009- ThThe Joint British Thoracic Society/ Association of Chartered Physiotherapists in Respiratory Care. Guidelines for the Physiotherapy Management of the Adult, Medical, Spontaneously Breathing Patient. May 2009; Thorax: Vol 64, Supplement 1. Pulmonary Rehabilitation: Joint ACCP/AACVPR Evidence-Based Clinical Practice Guidelines. Ries AL, Bauldoff GS, Carlin BW, Casaburi R, Emery CF, Mahler DA, Make B, Rochester CL, ZuWallack R, Herrerias C. Chest, 2007; 131: 4S–42S. Role of Physical Therapists in the Management of Individuals at Risk for or Diagnosed With Venous Thromboembolism: Evidence-Based Clinical Practice Guideline. Hillegass E, Puthoff M, Frese EM, Thigpen M, Sobush DC, Auten B. Role of physical therapists in the management of individuals at risk for or diagnosed with venous thromboembolism: evidence-based clinical practice guideline. Physical therapy. 2016 Feb 1;96(2):143-66.